Caring for a family member, loved one or friend in a nursing home is a daunting task. Unless you have significant amounts of discretionary income, most nursing homes are sadly built to operate on the thinnest of margins—in order to put more profit into the pockets of owners. We don’t believe that most nursing staff in nursing homes are bad people. Far from it, we simply believe that it becomes very easy to get burnt out when you are caring for 80 vulnerable adults even though you can only realistically handle 30. 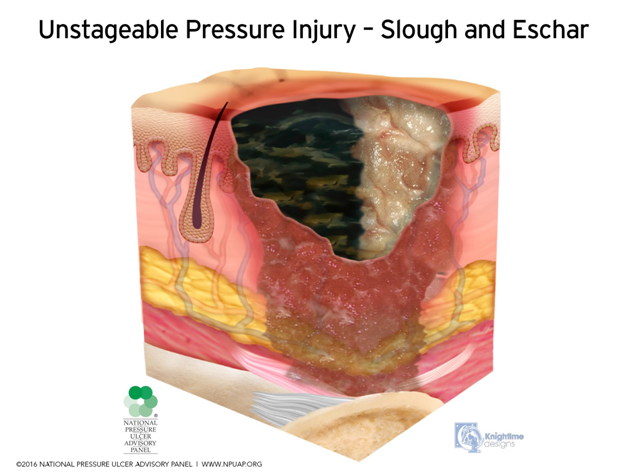 In terms of the most glaring evidence of nursing home abuse and neglect, we believe that distinction goes to the presence of decubitus ulcers, which are commonly referred to as pressure sores, pressure ulcers, bed sores or pressure wounds. Although there are very limited circumstances where bed sores can develop in the absence of nursing home abuse and neglect, that is rarely the case. The reason is that bed sores develop when there is constant pressure on the skin and underlying tissue which usually occurs over a bony prominence. Good examples of such locations are the skin and tissue over the sacrum and coccyx (lower back area), heels and hips. To form, the skin and tissue are subject to constant, external pressure, like when a vulnerable adult may be laying on her back in bed for hours and hours, unable to move herself. The continual pressure of the skin against the bed squeezes the blood vessels, which limits the amount of oxygen that the cells receive. Without oxygen, the cells begin to die. As the number of cell deaths accumulate, the damage to the body gets worse and worse. 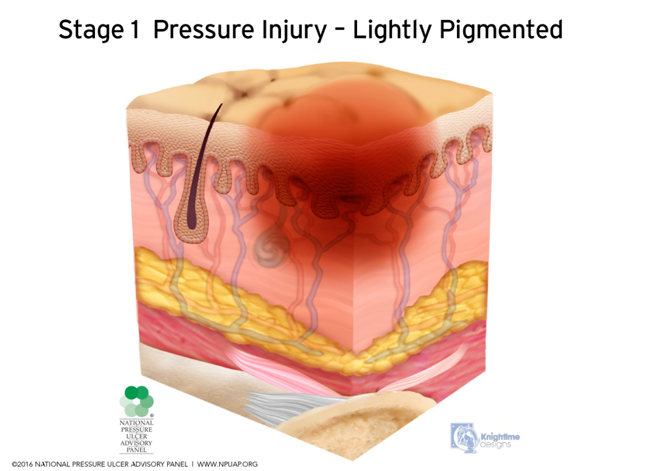 Health care providers measure the damage of bed sores by “staging” the wound. 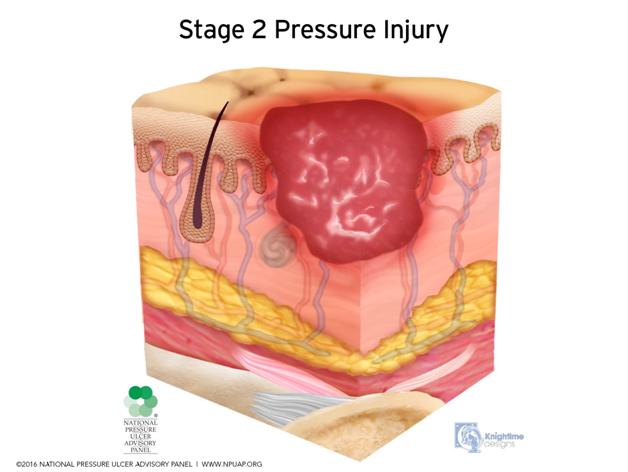 In other words, they determine if the pressure sore is Stage 1, Stage 2, Stage 3 or Stage 4. Bed sores are very easy to prevent, fortunately. Really, the main thing to do is redistribute pressure on a consistent basis. That means that if a vulnerable adult cannot move on their own, a caregiver must turn the reposition the person frequently. For example, simply repositioning a person from his back to his left side every other hour often will be enough. Putting a pillow under a person’s lower legs so her heels are “floating” in the air will significantly reduce the possibility of heel pressure ulcers. As you might be able to tell already, if a health care provider cannot remember to turn a person once every two hours (or more frequently if the situation requires), then that is a clear indication that the provider is untrained, not trained properly, or has too heavy a workload. All reasons though are examples of nursing home abuse and neglect. Once formed, bed sores are very difficult to resolve. Proper nutrition and hydration become even more important, as a nursing home resident needs extra fluids and protein to regenerate the dead and dying tissue. Complications from bed sores are common, and include bone infection, sepsis, and the development of fistulas among other ailments. 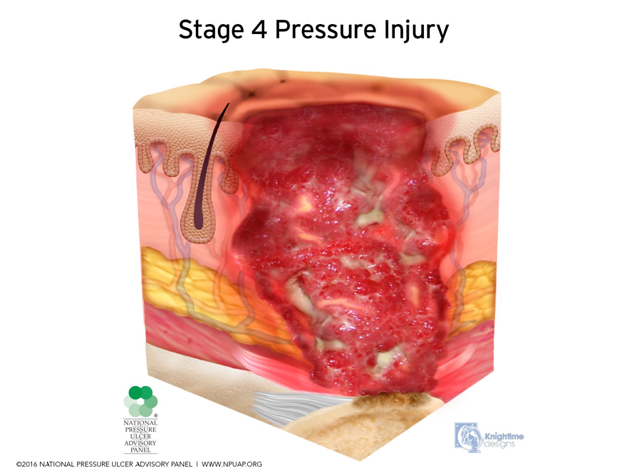 Every year, approximately 2.5 million people in the United States suffer pressure ulcers. 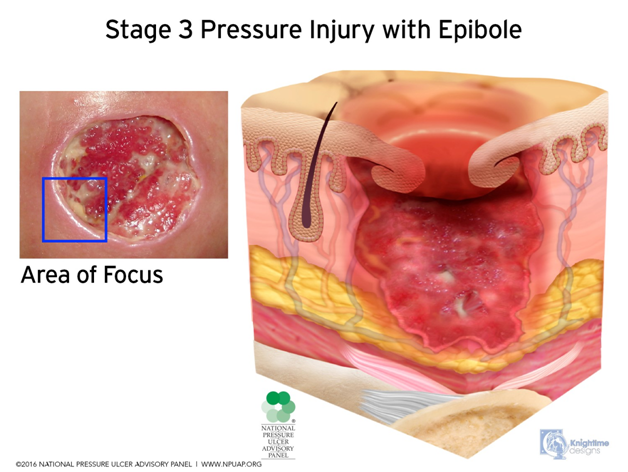 In 2013, approximately 29,000 people worldwide died from pressure sores. Only 14,000 deaths occurred in 1990. So you can see that as people are living longer, preventing bed sores from forming is critical. If you see any signs of decubitus ulcers on your loved one, alert nursing staff immediately. Demand that an appropriate turning and repositioning schedule is put in place and request proof that staff are following that plan. Nursing home malpractice is often deadly, and if you feel you need the help of a seasoned nursing home abuse attorney, please call our office. Our nursing home lawyers have been fighting for injured vulnerable adults for years and we know how to help.